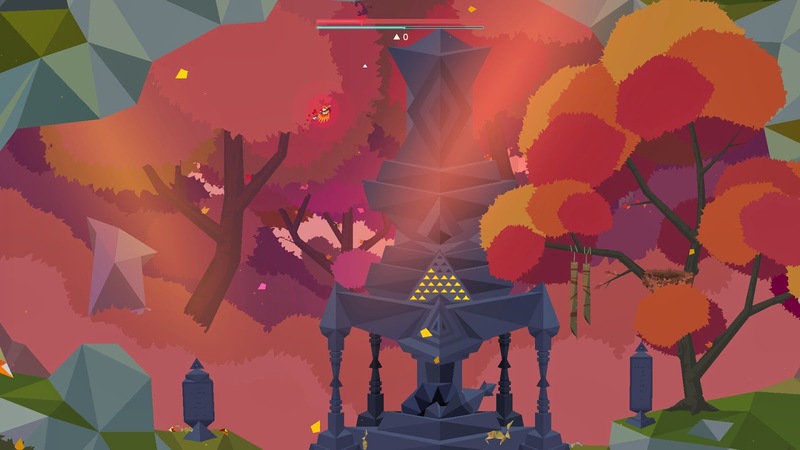 Secrets of Raetikon,the latest game from Broken Rules is beautiful. Soaring through it's colorful levels is a very serene experience. At least, until the first time you're attacked by a Buzzard. It's a game loaded with puzzles and secrets, yet gives the player little guidance in solving them. These puzzles exist regardless of your interest in them. They can all be solved, and some require specific objects to do so. In this open world, how and when you solve many of these puzzles is entirely up to you. 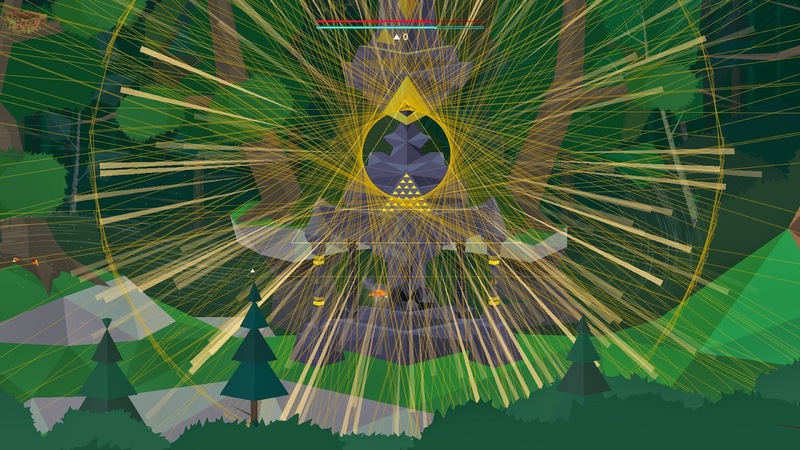 Your first introduction to Secrets of Raetikon is your crash into the dense foliage. You play as a bird or bird-like creature. The world is largely open for you to explore and full of many kinds of animals, both harmless and deadly. Smaller birds and squirrels flit and scamper through the forests, fish dart through crystal clear water, Buzzards and Daws prowl the sky, swooping in to grab any unfortunate creature in sight. 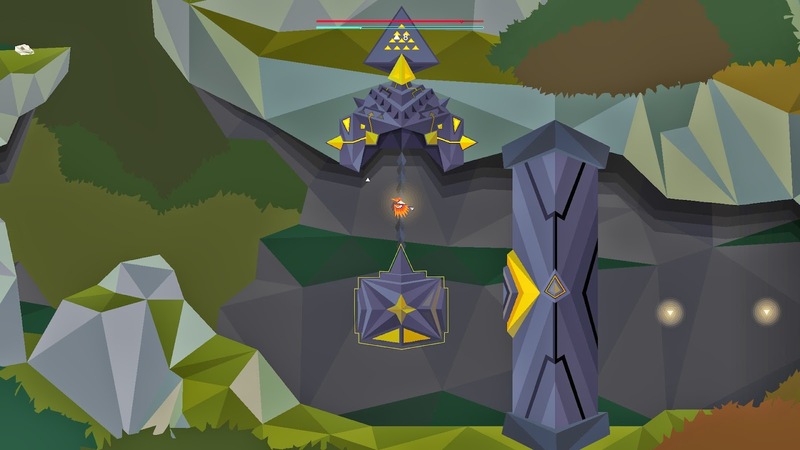 The geometric art design belies the complex systems at work in the game. You are free to interact with the world in almost any way you can think of. I carried eggs to a nest and watched new birds pop out of them. I lured a wildcat to a deer, using myself and fish as bait. It's easy to get lost in these little systems for a while. Eventually the huge ruins get the better of your curiosity and you're off to find a way to crack it open. Usually this involves collecting little glowing triangles called shards. Collect enough and you can reactivate the ancient contraption, hopefully learning something more about the world and the true purpose of the vast ruins. 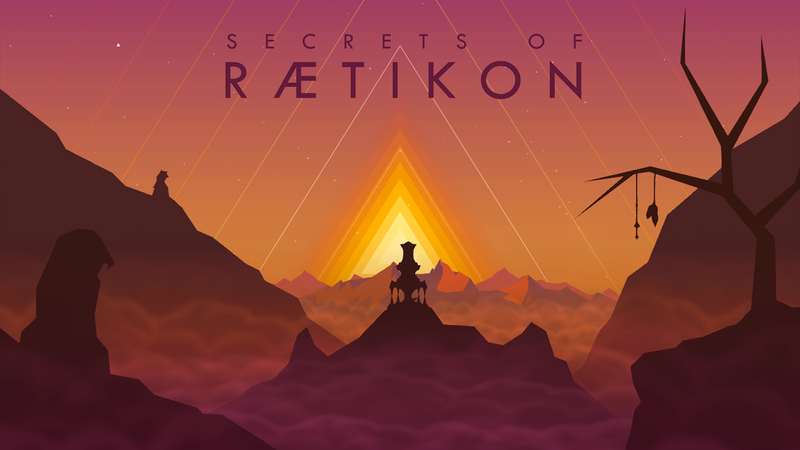 Secrets of Raetikon is easily played either at length or in short bursts. The environments are absolutely gorgeous. Even if you aren't able to complete any puzzles in a short session, the game is a very relaxing experience. The autosave mechanism also saves the game exactly where you leave off, taking even more stress out of the experience. I still haven't really figured out the big picture. I'm not sure what exactly the contraptions do or why they are there. There are many more areas I've yet to explore, tons of puzzles I've not solved and I've barely scratched the surface deciphering the runic language scrawled on tablets throughout the environments. As I complete more of the game, expect more updates. For now, Secrets of Raetikon is a beautiful puzzle I'm just sinking my teeth into.